May 16, 2017 - See the 'T. Rex' ant, a rare species that has been found alive for the first time. 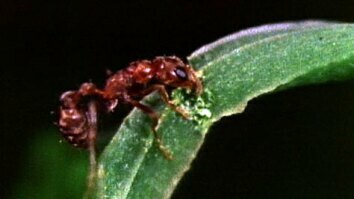 Tyrannomyrmex rex was first discovered in 2003 in Malaysia after a dead ant was identified as a new species. Since then, only a handful have been found, all deceased. National Geographic Young Explorer Mark Wong discovered the first recorded living colony while digging in the mud in Singapore. Scientists haven't been able to find another living colony. 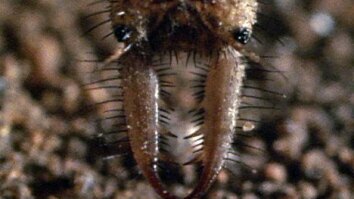 The ants' tiny mandibles reminded the entomologist that first discovered them of the stubby arms of Tyrannosaurus rex and other carnivorous dinosaurs. They live in small colonies of about 30 individuals, are likely nocturnal, and may be picky eaters. Click here to read more about the rare ants.